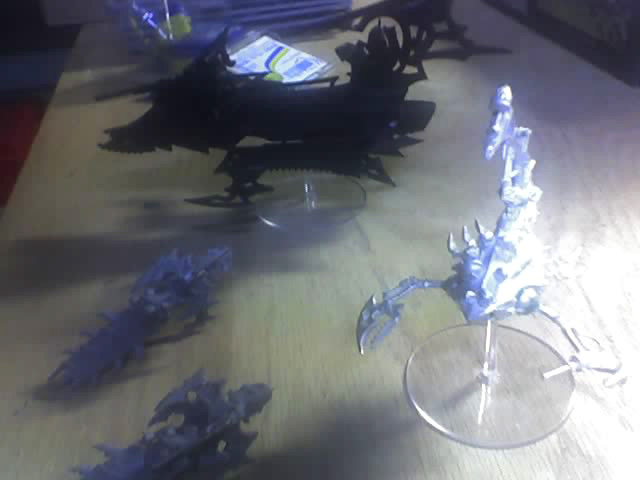 Paint a Dark Eldar Raider with black tacky primer while it’s still on the sprue! That way it’s easy! …please, do yourself and them a favor and punch them in the mouth. I can assure you. It is not an easy thing to glue together a plastic ship with glue made for plastic when there is a thick layer of crap between the glue and the plastic. Nossir. Either way, though, England prevails. Yes, it’s true, that crab-scorpion-lookin’ thing is out of your worst nightmares. It’s no fun, and I mean that as a Tyranid player. The little guys are jetbikes. Matt has 85,000 of these that I intend to assemble, regardless of whether or not he wants me to. His comment about them when he dropped off all this marvelousness was “…meh.” I can tell, he’s only hiding his enthusiasm in order to throw me off guard. 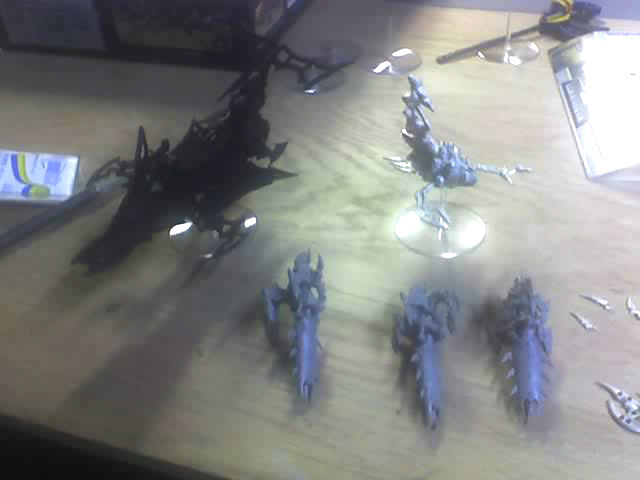 I’m sure that when he sees his Dark Eldar jetbike fleet, he’ll warm to the notion. Or not. Either way, I gets ta build ’em.